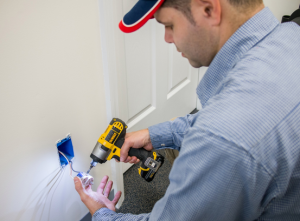 We know that people in the West Palm Beach area don’t want just any residential electrician in their home, which is why we have trustworthy highly qualified, professional electricians on our team. We are known for our exceptional personalized customer service and we offer nothing but the highest quality workmanship. We have an outstanding in-home safety record along with reliable, on-time and knowledgeable residential electricians. You don’t have to take our word for it…..read testimonials from our happy customers! 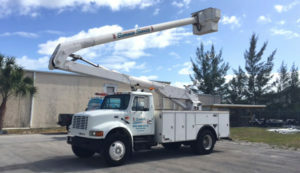 Does your business in West Palm Beach need parking lot light repair or commercial lighting repair? You can depend on PIE Superior Services. Lighting Our World Since 1976! PIE Superior Services is a commercial lighting repair company in West Palm Beach that has been servicing the South Florida since 1976. Our lighting services include a variety of commercial lighting like commercial lighting repair, Parking lot light repair and many other electrical repair and installation services. PIE Superior Services is an electrical business that strives to provide our clients with the highest quality service. with innovation and integrity and to provide cost-effective solutions for each customer’s unique needs. We provide exterior and interior commercial lighting repair and installation. We also repair lighting for industrial, retail, and residential HOA associations. PIE Superior Services is equipped with a 42’ and a 60’ lift truck. For commercial establishments with high ceilings, including warehouses, gymnasiums, auditoriums, and churches, we offer special lifts.This helps aid in commercial pole lighting repair jobs. Call us today for more information on our commercial lighting repair and maintenance services. 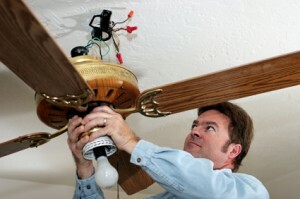 Call now for the best and most experienced lighting maintenance and repairs in Ft Myers! PIE Superior Services has been in business for over forty years and during that time, we have built our clientele with the willingness to go the extra mile every single time. Whether you are a completely new customer or a customer we have known for years, you are going to get our best service. 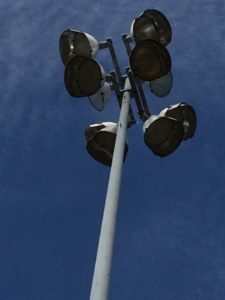 Are you the owner of a plaza on the West Coast of Florida and needs commercial lighting repair services? Call us today and we can assist you with your parking lot light repairs! Our commercial electricians have the knowledge and the equipment to satisfy the demands of commercial electrical work in West Palm Beach. Requirements for commercial electrical applications are typically a higher electricity usage than what is required for residential applications. Our electricians have the tools and equipment to get the job done quickly and correctly the first time. We have competitive pricing and quick response times.